Audiotape from a strategy session convened by the Koch brothers reveals that McConnell is nothing but a cynical obstructionist. The Kentucky senator, continuously partisan and mean spirited in public, earned the jab by leading a record number of filibusters as Senate minority leader during Obama’s tenure, forcing more than a quarter of all cloture votes in the history of the Senate since the beginning of the Republic. Now, many political bookies, however prematurely, have made Republicans favorites to win the Senate majority. What will McConnell do if he must go from opposition to governing? 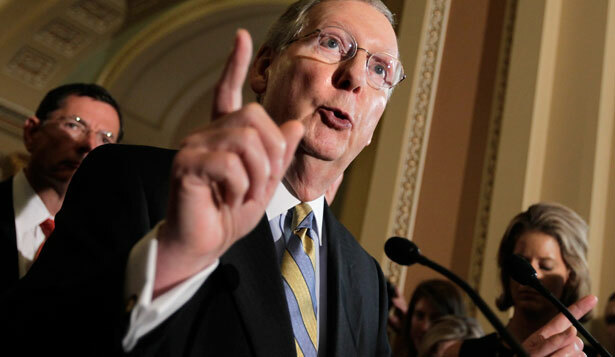 Last week, The Nation magazine, which I edit, along with Lauren Windsor of the Undercurrent, released an audiotape of McConnell’s revealing remarks to a private June strategy session of deep-pocket Republican billionaire donors, convened by the Koch brothers.